The Psychedelic Breakfast - "...In Uncle Sam's Basement Emporium"
Hailing from Newcastle in England, The Psychedelic Breakfast may sound like their inspiration comes from early Pink Floyd, but that’s not the case. Well, okay, maybe there was some inspiration there, but rather than playing dreamy, spacey stuff, this bunch prefer tripping on upbeat, edgy psychedelic rock with a nod towards retro, but a definite contemporary edge. The music reminded me a little of Kula Shaker’s first album, but without the hippy dippy spiritual lyrics or East Indian influences (though guitarist and vocalist Nick Grimes does say he’s saving up to buy a sitar, so that may change on their next album!). Drummer David Green and percussionist Gemma Bradshaw, along with bassist Ollie Scott provide a tight and exciting rhythm section for the funky, jazzy, and all out psychedelic rock n’ roll fretwork of both the band’s guitarists, the aforementioned Grimes, as well as Dave Welsh. From the opening track, Always Trippin’, Always Stoned, the album is rife with drug references, suggesting that the band failed to just say no. If that’s the case, it hasn’t dulled their ability to play. Whether they’re doing it fast and funky as on Know Your Buddha or mellow and trippy as on Waiting For the Answer, they’re an extremely tight unit. But they know when to let it go too, like on the final epic track, Creatures, which starts off as a crunchy, noisy rocker, and melts into a spacey, feedback freakout at the end. There’s also some stunning tandem guitar playing, especially on the aptly titled Uncontrollable Soul and the absolutely smoking instrumental Dailey’s Revenge Part 3. Apart from the playing, the song writing is surprisingly strong and original too. As I mentioned briefly before, the band doesn’t indulge in retro hippy dippy thoughts, lyrically speaking, but provides hip insights and questioning into drugs, youth culture, and search for self with a distinctly and refreshingly modern perspective. All in all, ...in Uncle Sam’s Basement Emporium is a stunning debut from some young musicians who I look forward to hearing a lot more from in the future. 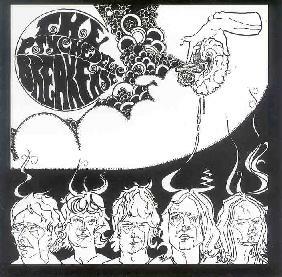 For more information you can visit The Psychedelic Breakfast web site at: http://www.thebreakfast.co.uk.